500GB and 1TB options are coming. According to newly certified documents by the Federal Communication Commission (FCC), there will be two new models of the PS4 hitting stores at some point in the future. The documents, as Gamespot (via DualShockers) explains, shows off two models of the system. The first, model CUH-1215A, will feature a 500GB hard drive, the same as current PS4 models. 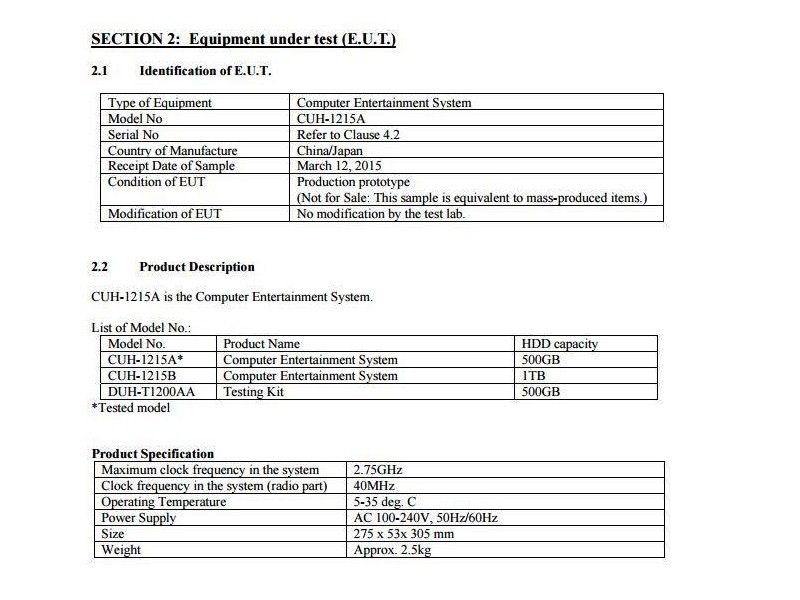 On the other hand, Model CUH-1215B will feature a one terabyte hard drive. There isn’t much change in the models aside from hard drive sizes. The new models will apparently generate a smaller amount of power; 230 watts compared to the original 250. They will also weigh a bit less, 2.5 kilograms now compared to 2.8 the original ones sport. While Sony has made it easier to install your own hard drives into the PS4, a 1TB option would be great, and also something the company could announce at its E3 conference, because let’s face it, there probably won’t be a lot of first party stuff coming.